Steam 'Early Access' & Xbox 'Play Anywhere' owners should have received this update on the 22nd. 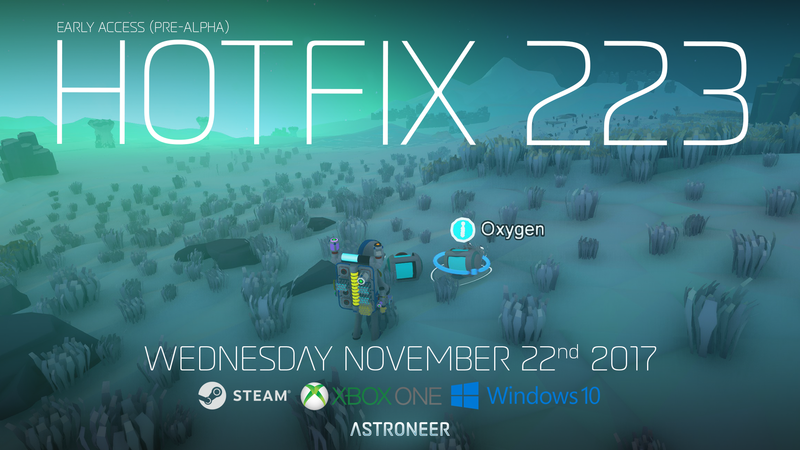 This hotfix addresses issues resulting from Update 221. Applied physics changes to vehicles. Fixed an issue where the Zebra ball would demand you interact with it and only it. Did I say Monday? I meant late Tuesday.